IOGEAR - PRO AV G2LVGAE025 IOGEAR VGA EXTENTION CABLE 25FT by IOGEAR at Andy Pemberton. MPN: G2LVGAE025. Hurry! Limited time offer. Offer valid only while supplies last. IOGEARs rated Ultra-Hi-Grade VGA Extension Cables are a necessity for any Systems Integrator working on an educational or commercial installation. View More In VGA Cables. If you have any questions about this product by IOGEAR, contact us by completing and submitting the form below. If you are looking for a specif part number, please include it with your message. 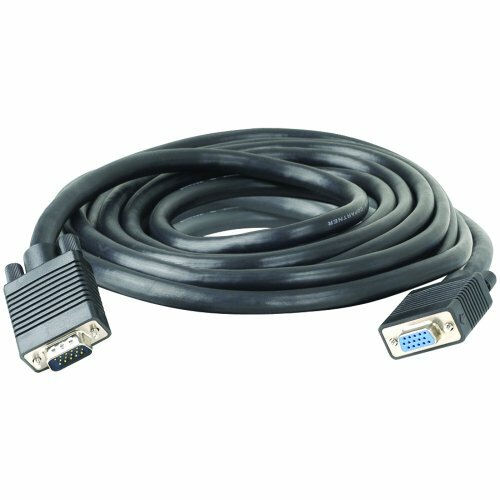 RiteAV - SVGA Monitor Cable - 100 Ft.